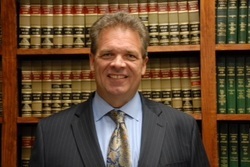 William H. Ohrenberger, III, is the Managing Partner of the Firm. Mr. Ohrenberger’s practice focuses on real estate development and land use, zoning, commercial and residential real estate transactions and general business representation. Mr. Ohrenberger also represents individuals in their estate planning and elder law needs, as well as in their capacities as fiduciaries for estate and trust administration matters. Mr. Ohrenberger has counseled developers, lending institutions, businesses and individuals in many aspects of their ongoing activities across the South Shore and Cape Cod. Mr. Ohrenberger has represented these clients in front of various state boards and agencies and in local administrative boards and other public bodies across Eastern Massachusetts. He has assisted his business clients with some of the most important residential and commercial real estate developments in the South Shore and has assisted individual clients with their estate planning and land use and disputes needs. He has also served as the Town Moderator for the Town of Scituate.